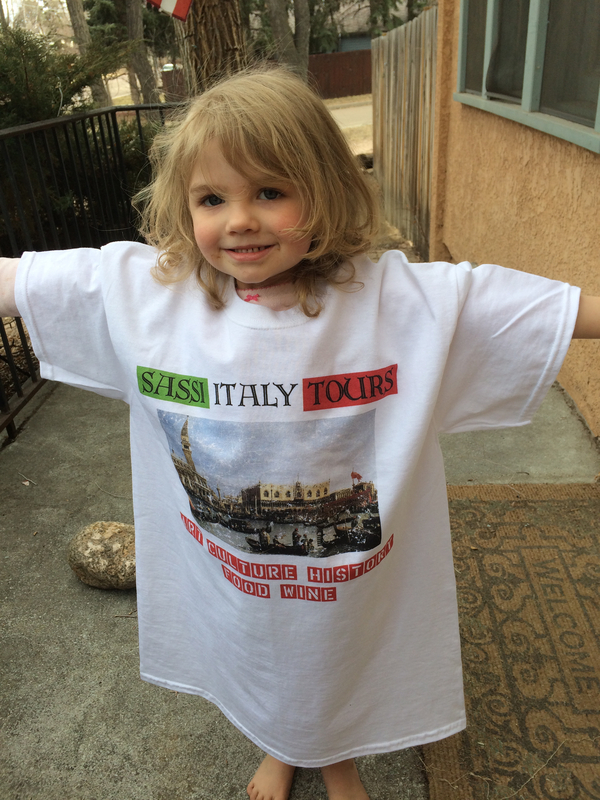 Doesn’t hurt that I had the cutest model on the planet to show them off; these are for sale of course, and free to anyone booking a tour, just let us know your t-shirt size when we’re figuring out your itinerary. They’re made with heavy Gilden brand shirts with a fine cotton feel. 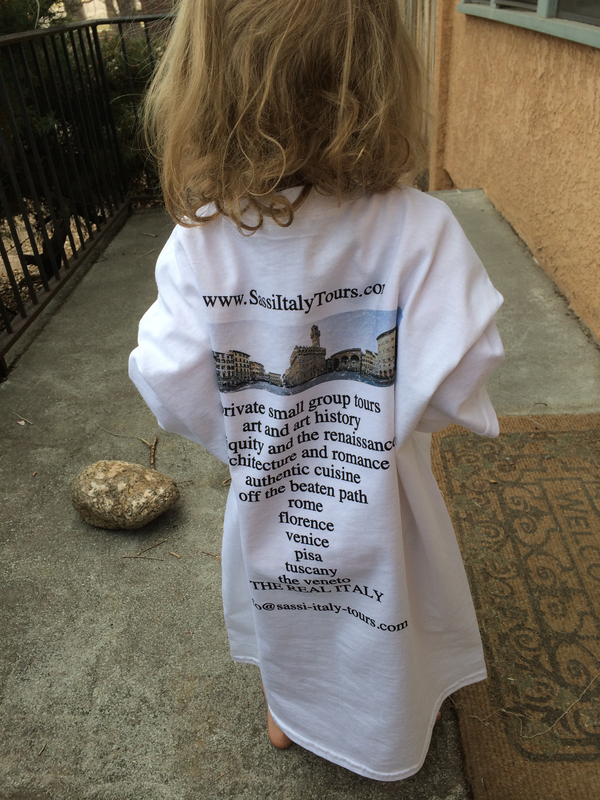 I’ll be sporting one in Venice next week while we do some promotional work. See you over there!